This article addresses the control over (1) the Depth of Incision, and (2) the Depth of Coagulation / Hemostasis during a CO2 laser frenectomy, and (3) illustrates these concepts through a Case Study: the revision of a tongue tie that was previously released with a hot tip diode. Learn that laser’s ability to photothermally cut and coagulate soft tissue depends on laser wavelength. Learn that CO2 laser is neither the best coagulator like diode, nor the best cutter like Erbium laser, but allows for just deep enough coagulation depth on the surgical margin when cutting photothermally. Learn that the depth of CO2 laser incision is proportional to laser fluence. It is proportional to laser power and inversely proportional to laser beam diameter and hand speed. Learn that the depth of CO2 laser incision during frenectomies can be adjusted to a fraction of a millimeter, while the depth of coagulation can be maintained under 100 µm for the utmost control and for the minimal collateral damage. Figure 1: Surgical site immediately after a lingual CO2 laser frenectomy. Immediately after the tongue-tie release, the patient could open her mouth to 46 mm. Immediately presurgery, the opening was at 36 mm. 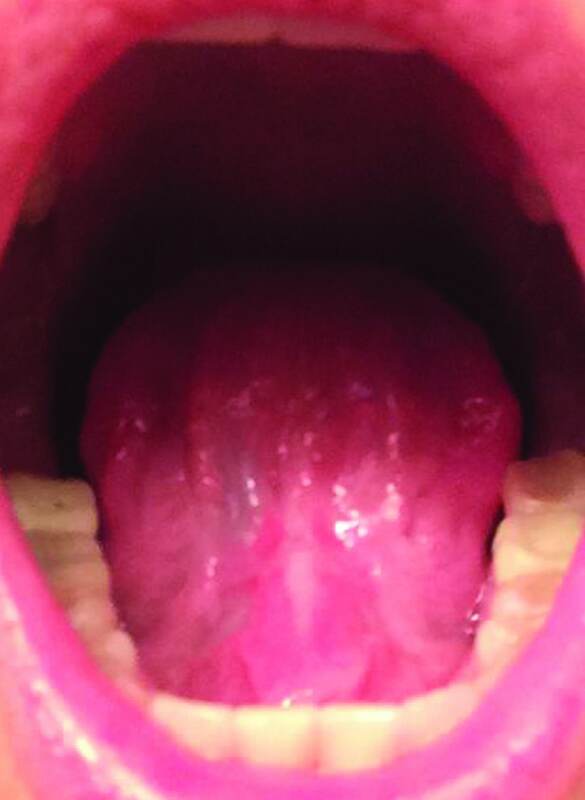 Figure 2: Completely healed, scar-free tongue 4 weeks after the CO2 laser lingual frenectomy. By that time, the patient had undergone additional OMT work and was able to open to 52 mm – a 16 mm improvement (44%) over pre-surgery measurement. The key to the success of soft tissue lasers is their ability to cut and coagulate the soft tissue at the same time, which makes many soft tissue procedures much simpler and far more enjoyable for practitioners: consider bloodless laser blepharoplasty or laser frenectomy, etc. performed by modern day surgical CO2 lasers. Figure 3 presents the known optical absorption coefficient spectra of the oral soft tissue’s three main chromophores3-6 – water, hemoglobin (Hb) and oxyhemoglobin (HbO2), which are needed to understand the photo-thermal ablation (or photovaporolysis3,4) and photo-thermal coagulation (or photopyrolysis3,4) efficiencies for the soft tissue dental lasers7 on the market today: Near-IR diodes at 808 – 1,064 nm; Mid-IR Erbium lasers at 2,780 nm and 2,940 nm; and IR CO2 laser at 9,300 nm and 10,600 nm. As can be seen from Figure 3, both Erbium laser (approx. 3,000 nm) and CO2 laser (approx. 10,000 nm) wavelengths are highly efficiently absorbed by the soft tissue and, as will be shown below, are efficient at cutting and ablating the soft tissue purely radiantly (non-contact). At the same time, diode lasers (approx. 1,000 nm) are highly inefficiently absorbed by the soft tissue and, therefore, cannot be used radiantly (non-contact) for cutting and ablating the soft tissue. The 100-300 µm thin5 epithelium layer with its optical absorption dominated by melanin and water. Incisional laser applications are never limited to just epithelium; therefore melanin concentration is not instrumental in understanding the mechanisms of photo-thermal cutting and coagulating with laser light. The sub-epithelial medium (connective tissue, inclusive of lamina propria and submucosa5) with its optical absorption dominated by water and hemoglobin/oxyhemoglobin. 75% water content is assumed for convenience; adjusting water content within 70-100% range does not significantly alter main results and conclusions of this study. Optical absorption depth spectrum for sub-epithelial soft-tissue with 75% water and estimated 10% blood presence in the human soft tissue5 (containing hemoglobin (and/or oxyhemoglobin) at normal concentration of 150g/L5 flowing inside the blood vessels) can be easily derived from absorption coefficient spectra (presented in Figure 3) for water3-6, hemoglobin and oxyhemoglobin3-6. During photo-thermal laser-tissue interaction, the laser beam energy is absorbed (by tissue’s main chromophores – absorption centers) and heats the tissue inside the irradiated volume, which can result in tissue ablation and coagulation. Figure 4 is a one-dimensional approximation of a laser beam irradiating the tissue surface (is graphically represented as a thin slice of a laser beam directed at the thin slice of the tissue) from the left, assuming pulse duration is essentially shorter than Thermal Relaxation Time TRT discussed later. Incident laser beam intensity is exponentially attenuated inside the tissue: I = I0 Exp [-x/A], where 1/A is absorption coefficient from Figure 3 (or attenuation coefficient if light scattering is taken into account). Assuming that laser intensity I0 immediately below the surface is greater than the threshold intensity required (for a specific pulse duration) to ablate the tissue locally, the tissue ablation takes place in 0<x6 Immediately below the ablation zone the heat affected zone xa<x5 inside the heat affected zone. Figure 4: Simplified graphical representation of laser beam intensity attenuated inside the soft tissue. Figure 5: SuperPulse settings feature high peak power and short pulse, which maximizes soft tissue removal rate and limits the escape of heat from irradiated tissue. Soft tissue ablation and coagulation efficiencies are influenced not only by absorption/attenuation spectra described in Figure 3, but also by laser pulse duration and tissue’ thermal conductivity. The rate of how fast the irradiated tissue diffuses the heat away is defined through the thermal diffusion time, or Thermal Relaxation Time (illustrated by Figure 5) as TRT = A2/K,5,6 where A is optical absorption (or Near-IR attenuation) depth discussed above. The physics behind thermal diffusivity process is similar to diffusion and Brownian motion first described by Einstein. Coefficient K is tissue’s thermal diffusivity; K = λ/(ϱ C) ≈ 0.155 (+/-0.007) mm2/sec (derived from heat conductivity λ ≈ 6.2-6.8 mW/cm ºC ; specific heat capacity C ≈ 4.2 J/g ºC, and density ϱ ≈ 1 g/cm3 for liquid water for temperatures in 37-100ºC range5). The most efficient heating of the irradiated tissue takes place when laser pulse energy is high and its duration is much shorter than TRT, as illustrated in Figure 5. The most efficient cooling of the tissue adjacent to the ablated zone takes place if time duration between laser pulses is much greater than TRT, also illustrated in Figure 5. Short laser pulse allows for the most efficient ablation of the irradiated tissue with minimum coagulation and hemostasis underneath the ablated tissue. For instance, rapidly pulsed CO2 lasers are efficient at cutting with minimal coagulation in applications like char-free stage II implant uncovering, gingivectomy, frenectomy, biopsy, de-epithelization, fibroma excision, etc. The least efficient heating of the irradiated tissue takes place when laser pulse energy is low and its duration is much longer than TRT. The least efficient cooling of the tissue adjacent to the ablated zone takes place if time duration between laser pulses is much shorter than TRT. For instance, long pulse and continuous wave (CW) CO2 lasers are less efficient cutters but provide for greater depth of coagulation for excising/incising in highly vascular and inflamed tissues like hemangioma. Just because water is the most prevalent and the most concentrated soft-tissue chromophore (unlike Hb and HbO2, see Figure 3), the most efficient soft tissue photo-thermal ablation (or photovaporolysis3,4) is a process of vaporization of intra- and extra-cellular water.3-6 For a fixed laser beam diameter (or spot size), the volume of the tissue exposed to the laser beam is proportional to the optical absorption (or Near-IR attenuation5) depth. The shorter the absorption (or attenuation) depth – the less energy is required to ablate the tissue. The longer the optical penetration depth – the greater the volume of irradiated tissue and, therefore, more energy is required to ablate the tissue within the irradiated volume of tissue. The minimum energy density requirement to vaporize the irradiated soft tissue can be calculated from the spatial distribution of laser light intensity inside the irradiated tissue (see Figure 4) for different wavelengths that are relevant to practical soft tissue dental Near-IR Diode, Mid-IR Erbium and IR CO2 lasers, for the steady-state conditions6 that are the most suited for high efficiency photo-thermal ablation (pulse duration ≤ TRT) with minimum collateral damage to the surrounding tissue (pulse repetition rate << 1/TRT). The ablation threshold energy density ETH spectrum is indicated in Figure 3, where the Near-IR wavelengths 800-1,100 nm are characterized by 100s-1,000s times greater photo-thermal ablation threshold energy densities than Mid-IR and IR wavelengths because of weak Near-IR absorption by the soft tissue chromophores. Near-IR 800-1,100 nm wavelengths (dental diodes’ operating wavelengths) are poorly absorbed by scarce melanin in epithelium and by low concentration hemoglobin and oxyhemoglobin in sub-epithelium connective tissue, which results in multi-millimeter depth of laser energy penetration into the oral soft tissue. Such multi-millimeter ambiguity in tissue removal spatial accuracy at Near-IR wavelengths (often cited3-6 as “poor scalpels” and as “not conducive to precise ablation”) increases the collateral damage risk of overheating both soft and hard dental structures (enamel, dentin, implants, and bone) underneath the connective soft tissue if photo-thermal ablation is attempted. Such risk is referred to in8 as “vital structures … may be heavily damaged before tissue ablation at the surface initiated”; the 810 nm soft tissue absorption coefficient of 0.7 1/cm in8 makes its observations highly relevant to the present analysis where 10% blood absorbs at the rate of approximately 0.4 1/cm at 810 nm (see Figure 3). Unlike Near-IR wavelengths, the Mid-IR wavelengths (Erbium lasers) and IR wavelengths (CO2 lasers) exhibit much shorter absorption depths, see Figure 3, which makes Mid-IR and IR lasers far more spatially precise and safer in soft-tissue ablative applications. The ablation threshold energy density5,6 ETH for 75% water-rich soft tissue is 3 J/cm2 at 10,600 nm CO2 laser wavelength, as indicated in Figure 3. The Near-IR 800-1,100 nm wavelengths of dental diode lasers are characterized by approximately 1,000 times greater photo-thermal ablation threshold energy densities, also indicated in Figure 3, which makes the Near-IR photo-thermal vaporization of the soft tissue unfeasible. For a laser scalpel, e.g., CO2 or Erbium lasers, the power density of the focused laser beam is equivalent to the mechanical pressure that is applied to a cold steel blade. Greater laser fluence (i.e., power density times the duration it applied to the target) results in greater depth and rate of soft tissue removal. For short pulse steady state ablation conditions (xa <2,5,6 the ablation depth is: A (E – Eth)/Eth, where A is the absorption depth and Eth is the ablation threshold fluence from Figure 3, and E is the fluence delivered to the tissue. For repetitive pulses that are scanned across the soft tissue, the depth of incision is proportional to laser average power, and is inversely proportional to focal spot diameter and the surgeon’s hand speed (see Figure 6). Coagulation occurs as a denaturation of soft tissue proteins that takes place in the 60-100°C temperature range3-5 leading to a significant reduction in bleeding (and oozing of lymphatic fluids) on the margins of ablated tissue. Photo-thermal coagulation is also accompanied by hemostasis due to shrinkage of the walls of blood and lymphatic vessels due to collagen shrinkage at increased temperatures. Since blood is contained within and transported through the blood vessels, the diameter of blood vessels B (20-40 µm5) is a highly important spatial parameter in considering the efficiency of photo-thermal coagulation. For H<<B (see Erbium laser wavelengths), optical absorption and coagulation depths are significantly smaller than blood vessel diameters; coagulation takes place on relatively small spatial scale and cannot prevent bleeding from the blood vessels severed during tissue ablation. For H<<B (diode laser wavelengths), optical absorption (Near-IR attenuation) and coagulation depths are significantly greater than blood vessel diameters; coagulation takes place over extended volumes – far away from ablation site where no coagulation is required. Extended thermal damage zones for Near-IR irradiated soft tissue are documented in8; the 810 nm soft tissue absorption coefficient 0.7 1/cm in8 makes its observations highly relevant to present analysis with absorption coefficient of approximately 0.4 1/cm at 810 nm (see Figure 3). For H>≥B (CO2 laser wavelengths), sub 100-µm5,7 coagulation depths extend just deep enough into a severed blood vessel to stop the bleeding; the coagulation is more efficient then for diode (H>>B) and Erbium (H<<B) laser wavelengths. The patient, a 51-year-old female, came to Dr. Riek for a revision of the tongue-tie which had been unsuccessfully released with a hot tip dental diode, similar to another recently published case study.10 Patient reported tongue biting; choking that woke her up at night; tongue getting caught in the lower teeth due to tongue-tie, difficulty brushing teeth, and chronic neck/back pain. She had a history of significant tooth decay, speech therapy for 2 years as a child (with no noted improvement), braces at the age of fifteen years old with head gear, and oral myofunctional therapy for tongue thrust. She wore a night guard due to clicking and chronic teeth grinding. She had broken several dental appliances due to excessive grinding. She specifically sought Dr. Riek’s practice because Dr. Riek uses a CO2 laser for tongue tie releases. The patient had hoped to have an increase in the jaw range of motion and improve her other symptoms (jaw pain, airway issues, continued bruxism and moderate sleep apnea, diagnosed with a sleep study). Previous Unsuccessful Treatments: The patient had initial tongue tie release two years before, with a diode hot tip (technically not a laser procedure) and the tongue restriction returned with the bunching scar tissue. A year after the diode frenectomy, she had an arthrocentesis of the TMJ by an oral surgeon due to pain and damage of the joint. She reported that the minimal relief from the procedure did not last long. The surgeon encouraged continued stretching to keep the jaw opening at 44 mm. Since the procedure, she continued stretching and noted the ongoing reduction in the jaw range of motion; and at the time of the tongue-tie release in Dr. Riek’s office, the jaw opening measurement10 was at 36 mm. CO2 Laser Frenectomy Settings are schematically illustrated in Figure 6. The LightScalpel CO2 laser was set to 2 W SuperPulse, and gated with F1-6 Repeat Mode (20 Hz, 60% duty cycle, 1.2 W average power); straight tipless handpiece with 0.25 mm focal spot diameter was used. Anesthesia: Only topical anesthetic was utilized (a combination of lidocaine, tetracaine, and prilocaine was applied three minutes before procedure). Laser tongue tie release: The entire laser procedure took approximately 20 seconds with a few stops. There was no bleeding, despite the fact that the area is heavily vascularized. With the above stated laser settings, the incision with 0.25 mm diameter focused laser beam is only 0.3 mm – 0.4 mm deep, as indicated in Figure 6. Such shallow incision depth, combined with sub-100-µm5,7 coagulation depth, allows for excellent and progressive visualization of larger diameter blood vessels, as shown in Figure 1. Due to the shallow depth of incision, multiple laser passes are needed to complete the required depth of the incision in a safe and controlled fashion. Post-Operative Care: Immediately after the tongue-tie release, the patient could open her mouth to 46 mm. She took 600 mg of ibuprofen every 6 hours for first 48 hours. She also used 30c arnica every 4 hours for the first week post-procedure. Post-operative OMT exercises included manual tongue stretching, lift and hold (held for 3-5 seconds) every 4 hours for the first week, 6 hours for the next second week, and every 8 hours for the third week. The patient additionally sought out chiropractic care and CST work from a trained professional. Figure 2 demonstrates the healed surgical site four weeks after the frenectomy procedure. By that time, the patient had undergone additional OMT work and was able to open to 52 mm. Her Mallampati score changed from II/III (pre-release) to I/II (post-release followed by OMT). Minimal post-operative pain, discomfort, and swelling, significantly reduced post-surgery production of myofibroblasts, diminished wound contraction and scarring.1,2,11 As observed in our surgeries, healing with the CO2 laser is markedly different from the other surgical modalities, it is uncomplicated and predictable. Authors greatly appreciate the help and contribution from Anna (Anya) Glazkova, PhD, in preparing this material for publication.